Welcome to Balanced Wellness – experts in stress, digestion, hormones, weight control, pain management, anxiety, detoxing using Kinesiology. 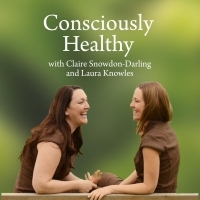 We believe in order to get really well it is important to look at all aspects of our life, this means looking at all our aspects of our lives – emotional health, fulfilment, nutrition, diet, energy and the physical body. We call this the #emotionhealthconnection. We offer clinic appointments, online programmes, Kinesiology training pathway and a franchise business to support you on your journey to becoming consciously healthy and fulfilled in every aspect of your life. Call 07969 369792 to speak to a practitioner today. At Balanced Wellness we have clinics and practitioners in Havant, Waterlooville and Petersfield. Balanced Wellness offer fully accredited training courses in Foundation Touch For Health and Advanced Kinesiology Techniques in Hampshire. Our diets focus on hormone balancing, detoxing and digestive comfort. And the recipes are designed to taste delicious!